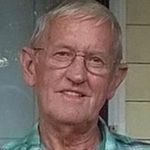 Mr. Glen Harold Colson, age 76, of Murray, Kentucky, died on Sunday, April 07, 2019, at his home. Mr. Colson was born on June 13, 1942, to the late Prentice and Luvine (Dunn) Colson. Mr. Colson was a retired farmer and carpenter and was the owner and operator of Colson Home Repair. He was of the Baptist faith. In addition to his parents, Mr. Colson was preceded in death by one brother, Junior Colson; and by one brother-in-law, Donald Thorn. Mr. Colson is survived by his wife Delphine Colson of Murray, whom he married on February 8, 1964 in Paducah, Kentucky; three sons, Ricky Darrell Colson and wife Yvette of Vandalia, Missouri, Terry Lynn Colson and wife Sherri of Murray, Kentucky and Jared Glen Colson and fiancé Kim of Murray, Kentucky; two sisters, Glenda Washburn and husband Danny of Benton, Kentucky and Wanda Thorn of Murray, Kentucky; one brother, Cleo Colson and wife June of Murray, Kentucky; as well as nine grandchildren and eight great-grandchildren. A graveside service will be held on Friday, April 12, 2019 at 1:00 p.m. at Murray Memorial Gardens with Rev. Kerry Lambert officiating. Visitation will be held prior to the graveside service on Friday, April 12, 2019 from 11:00 a.m. – 1:00 p.m. at the J.H. Churchill Funeral Home. Expressions of sympathy can be made to the Anna Mae Owen Residential Hospice House, 803 Poplar Street, Murray, Kentucky 42071.